There are many condos in Cabo for you to rent, ranging from condos for rent by owner to luxury 4 bedroom penthouses. Los Cabos Vacation Rentals offers a great selection of condos for you to choose from. The range includes family friendly multi bedroom condos on the beach to luxury penthouses. Many are ocean front with stunning views! Los Cabos Vacation Rentals has over 25 years experience in Los Cabos and specializes in Private VIP Groups. They can arrange any transportation as well as provide Chefs waiting with chips, salsa, and margaritas for your arrival. Check popular vacation rental classified sites such as VRBO and Home Away for the best variety of vacation condos. Most of the condos you will see on these sites are vacation homes and are rented by their respective owners. If you book with a company, you have an added layer of security. Also, you may be able to find condo listings on Craigslist. Many condos in Cabo are located within major property developments. Usually these developments include resorts, golf courses, etc as well as the condos. They often have a database of the rentals available in the development. 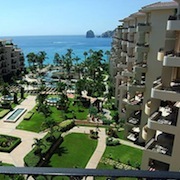 Many Cabo vacation rental companies offer choices of condos in the area. You can sort through everything from studio apartments to luxury penthouses. The prices are usually the same as the development’s database, but you will have a larger selection. There are plenty of luxury condos for rent in Los Cabos. Checking the condo’s website or a vacation rental company will be your best bet. If you are looking for a monthly or yearly vacation rental, it might be a good idea to talk to a real estate agent. They can help you locate properties and help you with signing the lease. Coming soon! For now, you can explore the popular vacation rental neighborhoods.